For decades on end, the used Toyota Camry has been the go-to mid-size sedan for a smooth ride, high-quality cabin, and long-lasting durability. If you’re looking for an affordable family hauler with a reputation for a reliable performance, you can’t do better than this used four-door sedan. Check out our used buying guide to learn more about how the Camry has evolved in recent years. How are these models different from previous Camrys? With their stiffer body structure and increasingly sophisticated suspension, these sedans put a big emphasis on handling. As a result, you’ll feel completely confident around sharp corners and the like. The modern Camry also features improved ride comfort, adding a level of smooth luxury to your daily drive. Why should you test-drive the ninth-generation used Toyota Camry? Once you get behind the wheel, you can experience the Camry’s sharp handling and solid performance firsthand. 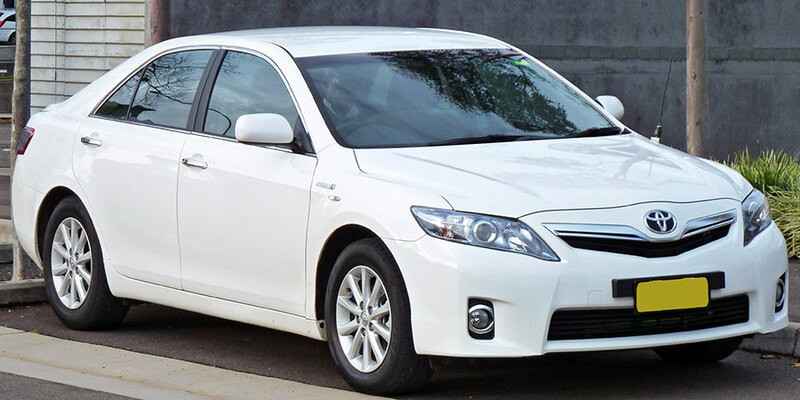 You’ll find two different used Camry engines, the base four-cylinder and the optional V6. Choose the former for maximum fuel economy and the latter for maximum athleticism. With five main trims available, there’s a used Camry to suit your desire for modern comfort and convenience. 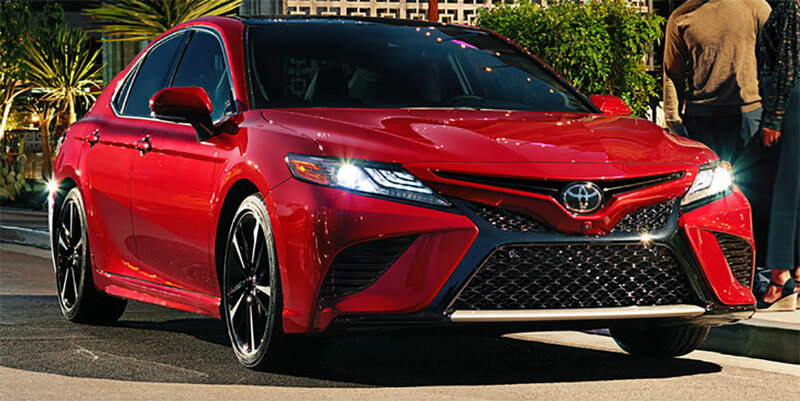 Starting with the base L, every Camry comes standard with the basics – like air conditioning and a full suite of advanced driver safety aids – to keep you happy and secure. The mid-grade Camry LE adds convenience with a power-adjustable driver seat. In the SE, a sport-tuned suspension and larger wheels offer a peppier ride. The upscale XLE adds luxuries like leather upholstery and heated front seats. In the XSE, you get the XLE’s luxury features and the SE’s athletic performance gear. 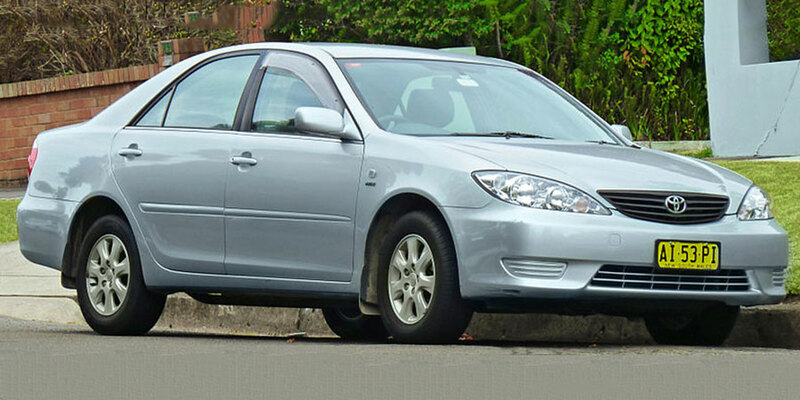 How is the eighth-generation used Toyota Camry different from earlier models? With improved body structure and retuned suspension, these mid-sized sedans offer a sportier ride. You’ll feel confident taking corners and traveling down winding roads in the Toyota Camry. The cabin also improves upon the last generation’s cabin materials, which were already pretty good. Higher-quality materials lend themselves to the Camry’s overall style, but also mean you won’t hear any troublesome rattles or squeaks during your commute. What’s great about these mid-size sedans? In addition to the aforementioned upgrades, the eighth-generation Camry continues the line’s tradition of smooth, fuel-efficient transportation with up to 24/33 mpg. What’s great about the seventh-generation used Toyota Camry? Compared to previous models, the Camry sedans feature nicer cabin materials, giving you an excellent deal on modern style. Their four-cylinder engine also produces more power than in previous renditions. In true Camry fashion, these sedans are as pragmatic as ever. You can expect a smooth, fuel-efficient ride. Inside, seating is roomy and supportive, perfect for commuters and road trippers alike.